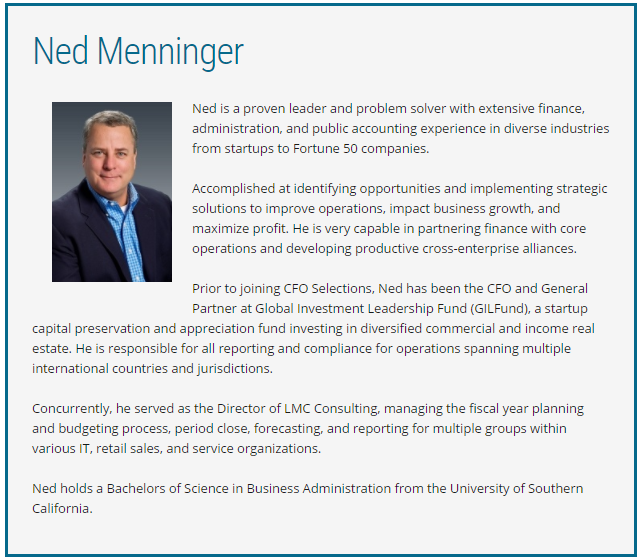 Ned is a proven leader and problem solver with extensive finance, administration, and public accounting experience in diverse industries from startups to Fortune 50 companies. Accomplished at identifying opportunities and implementing strategic solutions to improve operations, impact business growth, and maximize profit. He is very capable in partnering finance with core operations and developing productive cross-enterprise alliances. Prior to joining CFO Selections, Ned has been the CFO and General Partner at Global Investment Leadership Fund (GILFund), a startup capital preservation and appreciation fund investing in diversified commercial and income real estate. He is responsible for all reporting and compliance for operations spanning multiple international countries and jurisdictions. 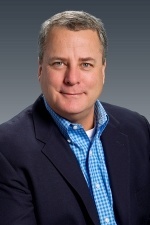 Concurrently, he served as the Director of LMC Consulting, managing the fiscal year planning and budgeting process, period close, forecasting, and reporting for multiple groups within various IT, retail sales, and service organizations. Ned holds a Bachelors of Science in Business Administration from the University of Southern California.